Hey there, I'm back! The Annecy festival has ended (with Russia, Estonia, USA and France winning major prizes), and I'm ready to dive back into the belly of the Magic beast. Did you behave while ML_Berlin was hosting? Did he? Let's have a look. Well, it seems that while I was away, a very classic Regular event has been staged. One where mihahitlor wins, for one, evening the overall score with romellos. 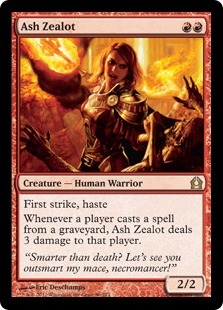 With a Warrior deck, though, which is somehow a new development, I guess? Considering Warriors only won an event twice so far, the last time going as far back as the very second event of the Blippian Era! (Piloted by none other than the legendary Lord Erman). Crazy, uh? 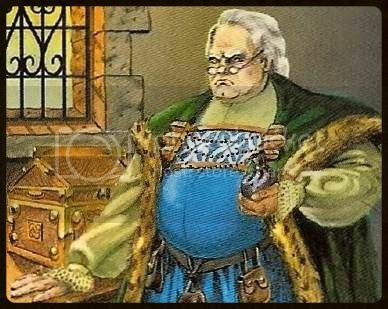 This deck also set a major record: all hail our new Budget King! We've come to this: A less-than-2-bucks event winner! 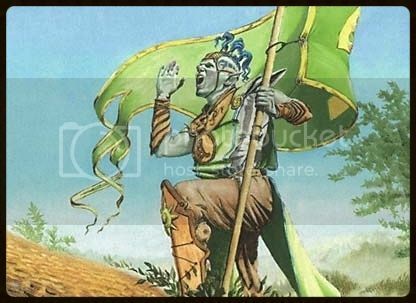 To compensate for the Warrior anomaly, one of each of the major tribes present ended in the money, be they Goblin, Elf, Human, Soldier, or Merfolk. The latter in the form of Generalissimo's Wizard build from last week, now properly turned into fish by the exclusion of Azami, Lady of Scrolls in favor of Sygg, River Guide and Mirror Entity. One of the strongest Merfolk ever printed. So let's feature decks that didn't place, for once. Like ScionOfJustice's attempt to try Aura Ramp with Druid, with the goal of casting Eldrazi titans. 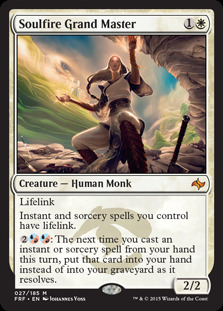 I for one would have just used Kamahl as a finisher here (being in-tribe and all), and maybe would have gone for the Eternal Witness/Primal Command combo, just because I like it so much. I bet all those fatties can feel awfully heavy on your hand if you can't unload them to the battlefield. AJ_Impy's build deserves a mention even just for the name. They're all Monks, you know? Finally, there were more Merfolk decks than anything else this time around (well, along with Zombie and Human). This is one of the other two ones. Notice the full playsets of Wasteland and Force of Will, now more affordable than ever. Scary, uh? And yet, no money placement for their master TrollDinner. Sorry! So, we salute the new cheapest winner ever! And it would be $0.73 without the two Figures of Destiny! 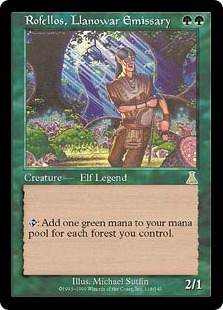 (Lowest price is used, which is foil MM2. Did you notice most foils are now worth less than regular in average?) And look how nicely the featured decks grow in price first to last, culminating with that super-accessorized Merfolk build. It was a while since when we featured a list of that budget level. And yet, the same list would have been probably worth twice that price one or two years ago. The Hamtastic Award: The Biodiversity Prize dedicated to the memory of Erik Friborg has started the first quarter of 2015. The quarter will end June 27. By that date, the player or players who registered the greatest number of different tribes will get a 5-tix certificate from MTGO Traders. The Achievements (sponsored by AJ_Impy and vantar6697): Unlock the greatest number of Achievements from this list and AJ and vantar will grant you 10 tix per quarter! The current quarter will end June 27. Players with the same number of achievements will split the prize. 10 more tix will be given at the end of the year to that whole season's Achievement Master. Good luck! Check out the full Tribal Calendar for 2015! 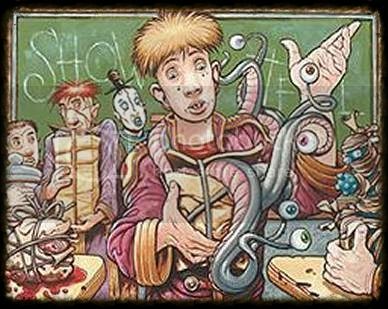 Vote for your favorite ETB Creature on the Topdeck Awards!